You should all take another read of Nan's post 'Cooling Off Period' there's lessons to be learnt for all of us.... and in the long term it will save you some money... money you might be able to spend on a more expensive Filofax... now you definitely want to read that post again!! There is a definite sense of joy I get reading back through the archives and especially the comments.. I once started at the beginning and worked my way through every post, it took me about a week doing a year every day I recall. I think I should do it again but with a mind to pointing things out to our modern day readership... Searches are ok, but someone who has read an article and can remember a question that has come up and can point you in the right area is a lot nicer! I'm not sure if these have been mentioned before or not. They didn't look that familiar to me, so may be they slipped under the radar! Anyway, I'm sure you will enjoy reading them again, just incase there was something you have missed or forgotten about. Thank you to Judith (Jotje) for sending these to us. 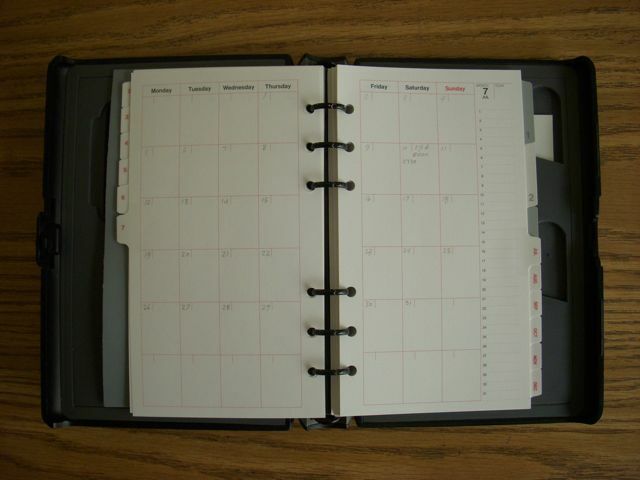 I picked up a comment from Filofax UK this week that their sales of organisers are higher now than they were in the 1980's... not sure if that equates to more people using them.... or as a similar number of people owning more than one or two or three or four... ok enough! I would think the range of organisers available now is far higher than I remember it back in the 1980's. Certainly more colour choices. The Twitter streams have really been busy and buzzing with chats between some of our readers this last week or so. One of the wild ideas that came out of these discussions included a face-to-face meet up in London some time in the future. Of course arranging a suitable date might not be so easy. But I think you will agree that it's a great idea and let's hope it happens one day soon. In the mean time we would like to get as many people together for a chat, mainly about Filofax, but who knows where the conversation will lead us. So far some star readers and contributors have said they will try to make it, so come on line and join in the fun. When? - Sunday 8th August from mid-day (US East Coast time), 5pm London time, 6 pm Paris time etc. Like last time I will try and report back. I know there are several of us looking forward to putting a voice to the usernames so please pop in if only to say hi and to introduce yourself. More and more people are blogging about Filofax and how they are coming back to it, or reviewing their latest purchases. I pointed one out to your yesterday. But here are two more for you read with a cup of tea or coffee... go on relax..
Want to practice your French? Even if your French isn't up to it... then cheat like I do!!! I think you will agree the photography is very good too, I need to up my game when it comes to photographing Filofax organisers... Models required !! Thank you to Nickie for the new photo in our little quiz series... Can you spot the Filofax organiser or organisers... how many can you see.... and where are they in the picture. The model is Nickie's son...on holiday in Spain. No, I'm not going to write about repairing potholes or building a new park. Since the beginning of 2010, I've been using the City Dweller Lifestyle Pack in my Personal Filo. I put some of the included forms (you can see them in the original post): Travel Itinerary, Party Time, Budget Sheet, as well as the usual To Do, Contacts, and Notes pages, in hopes that I'd find a use for them. Sadly, this year hasn't been big for either travel or entertaining. But there was one form that the City Dweller didn't include that I needed: a Project form. Of course, I could have gotten my hands on a standard Filofax Project Planner, but since my Personal was now all-City Dweller-all-the-time, I wanted something that matched. So I created it myself! I used Microsoft Word, with a table for layout. That way, I could add a gray fill to the table cells to create the gray background used in City Dweller forms. I also removed the table borders, since the gray blocks are supposed to be borderless. It's not a masterpiece, but it gave me the consistent look I was seeking. And I've used this form more than any other. You can download it from our files page. Dodo Pad, Britain's best-loved family diary 44 years and counting, now has their very own Filofax-compatible binder! Called the Dodo PersonalPOD, it is the size of a Personal size Filofax and is compatible with Filofax's personal size inserts. I saw a prototype of the PersonalPOD while I was in London in April, and it is very nice. The cover is hard-backed, and has a faux-cloth textured finish. "Dodo Pad" is subtly embossed on the front. Inside both the front and back covers are pockets for holding papers, tickets etc. An elastic strap holds the binder securely closed. Right now Dodo Pad is running a special where you can get a 10% discount on your PersonalPOD when you buy it with the Dodo Pad or Acad-Pad diary insert to fit it. 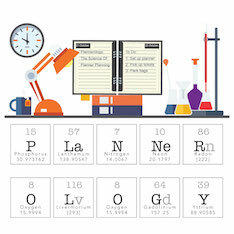 Click here for the PersonalPOD + 2011 Dodo Pad (calendar year) insert special. Click here for the PersonalPOD + 2010-2011 Acad-Pad (academic year) insert special. Does your partner also use a Filofax? As the title says... Does your partner also use a Filofax? Tell us about it if they do... do they read Philofaxy as well? My wife Alison has a Filofax, you might have seen pictures of it on Flickr, it's an old 1980's one, but she doesn't use it quite as much these days. When I did my collection photos the other day I noticed most of the notes in it are from when she was studying for her history MA (she's the brainy one!!) 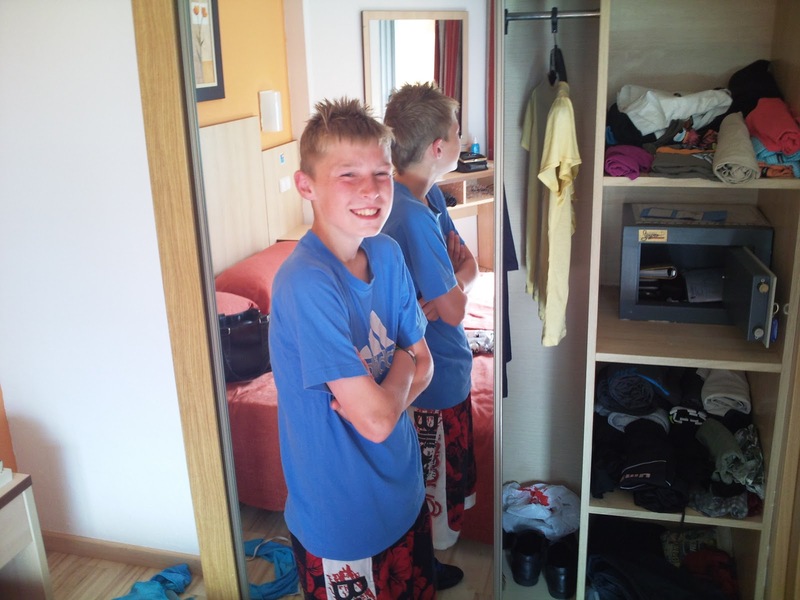 so that is a couple of years ago. She naturally takes an interest in Philofaxy, because I relate stories to her about the people and things we are doing. She proudly announces herself as 'the hand of Philofaxy' She posed for the photo you see at the top of the blog!! Do any of you have a hard time explaining why you need more than one Filofax? I think I have the obsession under control.... at the moment! But there's great delight in looking for that 'next purchase'. Do any of you just announce, 'Oh I've just bought this' or is it sneaked in under the cover of a plain brown wrapping to your den to be enjoyed in private? Then hidden from general view and then it generally gets guest appearances some months later 'Oh that looks new' "Oh not really I've had it a few months now" I'm sure there are some amusing tales to be told... it's ok you are amongst friends on this site! 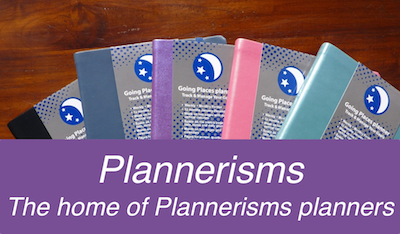 So I wonder how many of your partners also use a Filofax... or another planner even? Or if not your partner what about a brother or sister or any other family member? Do you try to keep a note of each others appointments? enter the promocode when prompted at the checkout. Philofaxy reader @MsLogica on Twitter asked for recommendations on what pens everyone prefers to use in our Filofaxes. A pen limitation is what size barrel will fit in your Filofax's pen loop! I usually use a Bic 4-color pen, and hook the clip on the pen loop. I like to color-code, and having the 4-in-1 pen with me all the time is convenient. 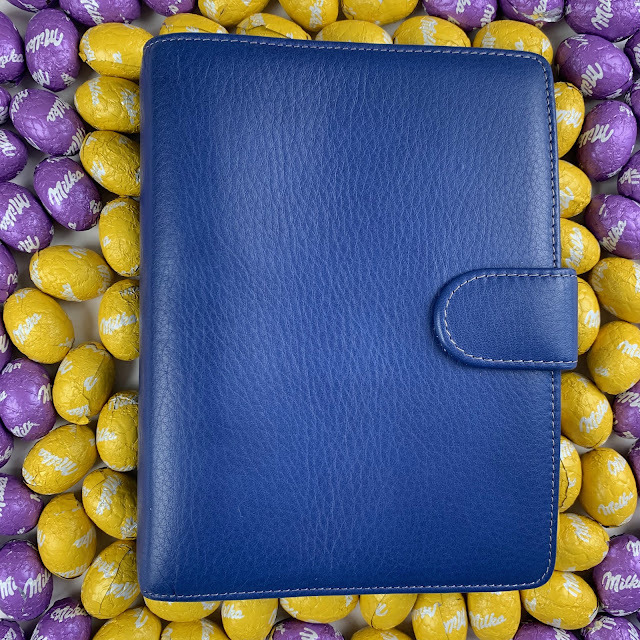 What pen(s) do you prefer using with your Filofax? And as always on Fridays, the floor is yours for anything Filofax-related. Some of us stick to the same size year in year out... never changing... But I've noticed a trend of a sorts, of a cyclic pattern of size changing... People downsizing because they are tired of lugging around an A5 and they move to a Personal. Or Personal to Pocket. And then there are folks that seem to be moving in the opposite direction for various reasons.. not enough space being the most common excuse... I've not managed to work out over what the time interval is for people to go back to the size they started with yet!! Have your changed which size of Filofax organiser you are using on a daily basis recently? And if you have why did you change? As you know Philofaxy has been on Twitter for some time, and we feed updates on the blog out via Twitter. In the last few weeks I've noticed a lot more Filofax related traffic on Twitter. 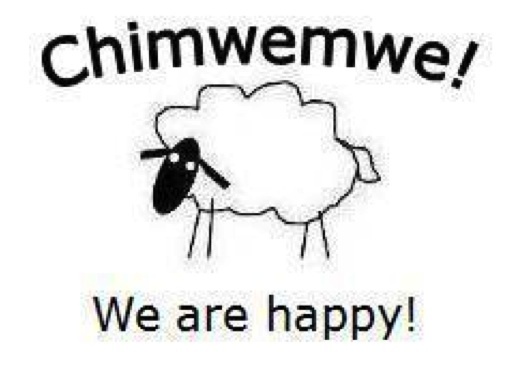 Quite a few of our readers are now following each other and exchanging ideas and pictures via Twitter. Are you on Twitter? Do you want to join in, put your Twitter username in a comment and join in the chat. What diary refills would you like to see Filofax sell that they don't sell already? Some people we know use other brands of diary insert in their Filofax organisers with mixed success. But it would be better if Filofax sold us what we want. If you are on Facebook, please add your comments, pictures etc to the thread I've started on the Philofaxy page on there. Otherwise if you aren't on Facebook but you still want your input to go in to the discussion, please email us, address on our About Us page and I will add them for you. I am sure we will get lots of good ideas which we can feed back to our friends at Filofax UK. I really like the Month on 2 Pages (untabbed) Filofax insert. I love having that extra column before Mondays to make notes. I also like that they DON't cut any days in half at the end of the month, and instead they have a standard 6-row format. Instead of leaving any squares blank, they fill in the days in the previous and/ or following month to complete each weekly row. This helps me with my "beginning of the month problem" which is when I think, "Oh I've got loads of time to prepare for X event, that's not until next month!" No, that's next WEEK. Like I said, I really like this setup. But, I needed to do just a slight tweak. Having a standard 6-row format every month doesn't let me see the "shape" of the month. I like to be able to see at a glance what day of the week the first/ last day of the month falls on, and seeing the shape of the month also helps me in some way I can't quite figure out. 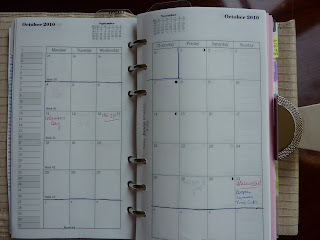 So, I outlined each month with a pen, which you can see in my photo at the top of this post. I chose October because it had the least amount of personal stuff written in. But, you can still see my birthday indicated (mark your calendars!!!!!). I prefer the weeks to begin on Mondays (since my weekly planner weeks begin on Mondays, and to keep the weekend days together) but I know some people (especially in the US) prefer a Sunday start. I've seen monthly calendars that combine Saturday and Sunday into one square, to have 6 columns instead of 7 or 8, but I need the weekend days to each have their own square. I prefer 8 columns, with the extra column for notes. How do you like your monthly calendars to appear? I have been a reader of the blog for over a year now - and think it's great!! I have also (like many) floated between paper Filofax / Franklin Covey / iPhone's / iPad's etc etc - but until now, not stumbled upon a system that works for me. So - I made my own. I've used it for a year now and so thought the time was right to share it. You will probably see influences from various other templates out there - I've just selected the bits I need and put them all together. I print them out on A4 back to back, then guillotine them to fit neatly into my A5 Filofax (brown leather Kendal if you were wondering?). You will notice a lack of dates on the pages? I find it works for me, as some days I have nothing to input - therefore I simply draw out a new page from the section in my filofax when needed, write the date in the greyed out events section and put it in the relevant calendar tab area. If I have a task to complete way, way into the future, I can write the date (Jun 15th 2011 for example) and slot it into place in readiness. Thank you Neil, I've added Neil's 'Actions' template available in our Files area. Will a Personal Filofax punch work for A5 paper? Yes a standard punch works... but... you have to punch the page twice, once from each end. The three rings are spaced the same, but the distance between the two groups is bigger than personal size. Insert the paper up to that line, punch, reverse the paper and repeat for the other end of the page. The easiest way to work it out is to take a piece of Filofax A5 paper that already has the holes in it. Place it in the punch and align the punches with the three holes. Then put your label on the punch to mark, the edge of the page. Then experiment with lots of scrap paper!!! use all edges of the pages to get it right!! It works, you just need to be patient and practice lots. There are other punches other than the Filofax one. They have been mentioned before on here, but let's bring them together. If you are in the US there is a Time Systems A5 punch for quite a reasonable price. There is also the Filofax plastic portable 6 hole punch, but to be honest with you, you would be better off saving your money and getting the metal one. The plastic ones can only punch one sheet at a time and become blunt fairly quickly. Do you know of any other suitable punches in your part of the world? Please add a comment. New Filofax user needs advice! I got an email today from Laura, who recently received her very first Filofax: an A5 Raspberry Finsbury!! Lucky lady!! "I was wondering if yourself and your readers would have any tips for a real first time user, what to do first, categories, how to start… etc. Any helpful or personal ideas that have made all you filofax users love every minute of it." I directed her to the links in the post below, to get some ideas on different ways to set up and use a Filofax, but I did tell her that there are as many ways to use a Filofax as there are people who use them, and that she will figure out what works best for her. So, what is your advice to a first-time Filofax user? Recently there have been several great posts about how people use their Filofaxes (many with excellent photos too!) that I wanted to point out to everyone. One post that has inspired many is Gala Darling's A Filofax Love Affair! This post has lots of beautiful photos of her Filofax and details about how she's using it. Her post inspired me to change up my Filofax situation, which I posted about on Plannerisms: Filofax Revamp Inspired By Gala Darling. 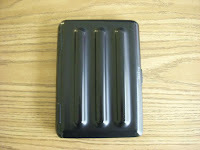 Another Filofax post that was inspired by Gala's is on Belle Fantaisie about her Amber Filofax. This too has loads of great photos and usage details. Shopaholly is a great blog that I recently started following, written by Holly in Aberdeen. I'm eagerly reading her blog for ideas on having fun on a tight budget in my soon-to-be new hometown! Holly's post about her Filofax is also very inspiring, with beautiful photos! (I LOVE that Botanic!) She also has a great photo of her DIY weekly diary, which looks very interesting. My Filofax and Me on Shopaholly. Cat Cook commented on Shopaholly's Filofax post about her own Filofax post, which was recently linked by Steve and Filofax UK, but bears linking again: Why I can't live without my Filofax! on Cat's Corner. 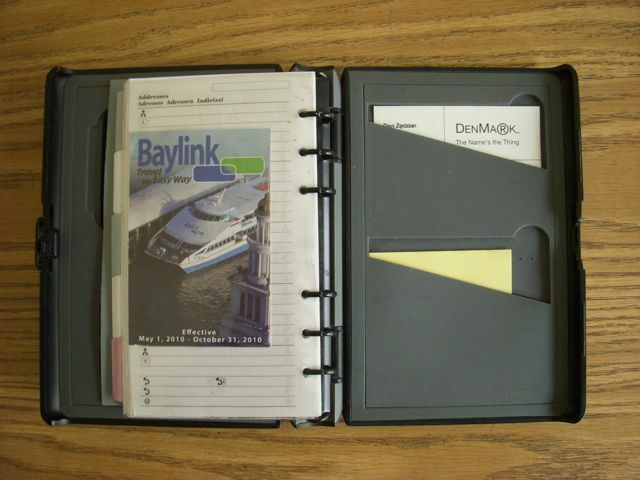 Ephemera has a few posts about her new Songbird Filofax and her recently re-discovered Logic Zip. She recently started to use her Filofax to keep her life organized while she's in vet school, and it's interesting to read about how her usage is evolving. She also has links to her Filofax photos on Flickr! And Oni's Paper Corner by Onigiri Sama always has lots of fun Filofax postings. Have you written a blog post recently about your Filofax, or have you seen a Filofax post I haven't listed here? Please post the link in the comments! Philofaxy reader Gabe emailed me today to ask what I thought of this Hartmann binder. He is thinking about buying this one, and plans to use Filofax refills in it. Has anyone used any Hartmann products before? What do you think? Thanks for any feedback! I noticed on Filofax UK the other day (while innocently perusing diary formats...again) that there are several 2012 calendar inserts available already! I appreciate this, because I like to get my diary and calendar inserts as early as possible. Such long-term planning would be very useful to record when things are due to expire or be renewed such as magazine subscriptions (as Steve so wisely suggested in his comment to my recent Plannerisms post), insurance policies, and the like. Do you like to get your calendar inserts far in advance? Or do you wait until the year of? Have I missed anything out that you think should be included? Please add the details in the comments below. As usual I will make the finished set of pages available in our files section. It's nearly 25 years since I got married in September 1985, so a lot has changed! Prices have gone up a little, ours cost £800, I don't think you would get any change from £8000 these days... !! Of course you would need to dedicate a separate organiser to your wedding planner/honeymoon travel planner, I will leave you to enjoy deciding which organiser would be best suited to this duty... Deco Ivory for the white wedding may be? But may be an A5 would be more practical, how about a Finsbury in Pink, which of course you can use afterwards. Anyway I'm sure you will have fun picking one for yourself. Oh and as for the wedding we were trying to plan on line yesterday, we are just lacking a few essential ingredients... date, venue... oh and a groom... but we have decided that like all good Filofax Organisers... he must be well organised and be able to lie flat...!! As we all know by now (and if you didn't already know, here's your memo:), most of the colored styles of Filofaxes are limited edition, usually for one year only. In fact, all of my Filofaxes (with the exception of only my red A5 Domino) are either completely discontinued or in the process of being phased out. Which means...each one is irreplaceable. Which makes me almost too afraid to use any of my Filofaxes!! My Buckingham, which is my very first real Filofax, has had a very hard life and is only barely starting to show signs of wear on its smooth leather. It holds a position of high honor in my Filofax collection. It's the wise old grandpa with loads of stories of life on the road. My gorgeous Deco, in the being-phased-out Ivory color: should I preserve it rather than risk spoiling its beauty?? My Finsburies in purple and green are no longer made in those colors. Even my purple Domino, which is certainly affordable enough to be replaced if needed, is no longer made in the Grape color I love. On the one hand, I think what a shame it would be for any of these to get ruined, especially the Deco, my "Dream Filofax." How could I bear an ink splotch or deep gouge, knowing I could never replace it?? But on the other hand, life is meant to be lived, and Filofaxes are meant to be used. Yes I might mess up my Filofaxes. But what fun is it to just look at them on the shelf? They are not museum pieces. They are meant to be used, filled up, and loved. Do you have a Filofax you are almost too afraid to use? Or any that hold a position of "high honor" in your collection? I've been working on an update for the big Filofax guide for some months since the original was published. Moving house etc sort of got in the way of me finishing it off. It now includes details of the materials each organiser is made of. Anyway, the latest update is now available in our Files area. Look for Filofax.pdf . Is there any other information you think would be useful to include in the file? Please add a comment below. The usual words of caution apply... it's only accurate on the day it was published... prices go up prices go down.. new organisers appear... some disappear [Nooooo!!]... Oh and I'm human so please excuse any errors that have crept in. If anyone would like to volunteer to help me maintain this file I would really appreciate it, diving between three different websites is confusing and time consuming! If any of you could just keep a check on just one of the sites (UK, US, France or Germany) that would be a big help. I can share the Excel file with you using Dropbox so it makes it easier to keep it up to date, without needing to email it back and forth. I recently read an online article, and posted it on Facebook, about how cell phone signals may be harming bee populations. Steve helpfully pointed out that using a Filofax instead may be helping the bees. Of course, a Filofax can't make phone calls, but it does make it possible to use a simple cell phone for only emergency phone calls rather than using a smartphone all day long for such things as address book, calendar, notetaking, and so on. How do you use your Filofax to live a greener life? 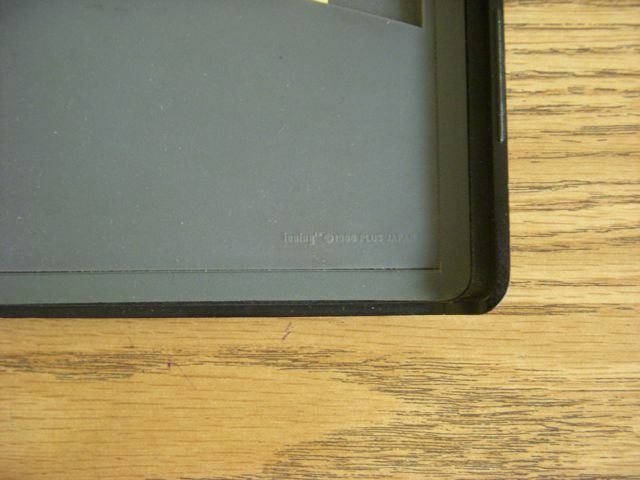 Here is Bernhard's Slimline Filofax that is the subject of yesterday's photo search. Can you find it now? Reader Bernhard had a great idea for a Filofax game: Find the Filo! How do you answer these sort of questions? But as it's Friday, don't forget that we are interested in anything Filofax related. Just to let you know I've updated the site to one of the new Blogger Templates this morning. I've tried to keep the 'look' and 'feel' as close to the old format as possible. The main advantage is the additional width to the page. You should be ok viewing in any resolution greater than 1024 pixels. The extra width in the body of the page will mean that when ever we include photos in a post the text will not look quite so cramped. Any problems please add a comment and I will see what can be done. So, we had a plan, it was a simple plan, get a train to St. Petersburg. We wanted to make things a bit harder on ourselves by stopping along the way, and making sure we were back at work three weeks later. Oh yeah, and buy a flat the month before we were due to leave. Obviously, a plan like this needs organisation. Really, really good organisation – did I mention the flat buying? This year I finally crossed the line from which there is no going back and became the owner of two Filofaxes, so I gave into the inevitable and bought a third. After much deliberation online I was almost certain I wanted a Pocket Domino. But a little niggle in the back of my head persuaded me to go and look at it in person before I made a purchase. So after work, I hotfooted it to the New Conduit Street shop, where that niggle was justified, the Domino wasn’t quite right. The Pocket Urban, however, was perfect. It is almost like it was designed for a trip like this, with its hardy and practical styling. This is a Filofax that will put up with being bashed around in the bottom of a rucksac or consulted in a thunderstorm or whipped out in a hurry to find directions to the station. I particularly like the gusseted outside pocket and the full width interior pocket – very handy to stuff the random things you accumulate on a journey. Since my downfall was pretty much inevitable at this point, when I was in the shop I also bought the Travel Journal Pack. I normally run a mile from any system that tries to impose itself on me, but flicking through the display pack, I realised there was enough flexibility I could use it how I wanted. And there were pre-printed sheets so you could play Squares. I was sold. I also bought a hole punch because it was payday. So, back to the plan, it went something like this: London – Berlin – Gdansk – Kaliningrad – Vilnius – Riga – Tallinn – St Petersburg – London. (If you don’t know where some of those places are, why don’t you look them up? Are you thinking it would be handy if you could get a Europe map for the Filofax? Yeah, me too). We knew the plan would be fairly flexible, we were a bit vague about trains after Gdansk, but neither of us had realised quite how few trains run through the Baltic countries any more. That’s what you get for using a 10 year old guidebook and a brand new Filofax. We did end up in St. Petersburg, but we had to forgo Tallinn to get there. We went on 10 trains and 2 coaches. We saw Gdansk in the freezing rain and St Petersburg in a heatwave. We saw a full blown Russian military parade on the 9th May. We went to the best museum in the world. We had dill with more meals than you’d think would be possible. I fell in love with Malbork Castle in Poland, and I wanted to eat up every inch of The Church of Our Saviour on Spilled Blood in St Petersburg. We learnt about events from 1939 to 1989 from almost every side. We had amazing hot chocolate in Vilnius and listened to a brilliant blues band in Riga. We went to a bit of Russia most people aren’t even aware of. We learnt that if you are an aspiring nation it’s probably best not to invite the Teutonic knights in to help sort out a little pagan problem. In short it was fabulous. And through it all, the Filofax held its own. I divided the travel pack into 6 sections, and added some of the standard pages that come with a new Filofax. I had emergency information right at the front, then the first section was the travel itinerary and planning, with the to-do lists and packing lists. The second section was travel information, where I added a map of Europe I printed off before I left, along with some city plans, a list of handy web pages, phone numbers and the international information section from the 2010 diary. The next section was my journal – thank you whoever it was on Philofaxy who suggested to put it in the middle of the organiser so that it’s easier to write on both sides– you are a genius. Then the fourth section was for money and budget. The very last section was blank paper and the travel games. This leaves the fifth section, which I’ve done out of order, because there is a glaring omission in the travel pack. It’s so big and obvious I noticed it as almost as soon as I got it home from the shop – there is nowhere to write down addresses for postcards. Filofax, the daddy of paper organisers, overlooked the one form of paper-based communication that people still use. So I had to use the standard addresses inserts. So how did I use it? – I used the packing list and remembered to bring a torch, I kept a travel diary, I made notes, I tried to learn the Cyrillic alphabet, I drew stick figure pictures to try and communicate with Russian ticket agents, I wrote postcards, I stuffed receipts in its pockets, I kept my passport and tickets in it when we were travelling, we played squares. It was perfect. Despite being a Filofax user of five years standing and despite the cutesy hearts and funky birds that come plastered over organisers nowadays, for me Filofaxes will always be associated with 1980’s yuppies and the fast-paced lifestyle of international businessmen. There is one infill more than any that perpetuates this association for me – the International Information. Every year without fail, I separate those pages from my new diary infills and diligently put them in the last section of my binder, where I file the maps and other general information. And every year, without fail, the only time I looked at those pages was to imagine the lifestyle of a globetrotting businessman – sitting in an anonymous hotel room, a long way from home, consulting his very professional looking Filofax (a black Guildford usually). He’ll be checking it’s not a public holiday in Tokyo, before he makes that all important phone call; or consulting the clothing conversion charts before buying a new shirt as he’s going to have to stay an extra day to clinch that deal. His is a lonely existence, his only companion a trusted, soft leather folder. This year, however, something happened that changed everything. No, I didn’t ditch the not-for-profit sector for a live fast, die young position in mergers and acquisitions, I got on a train at St Pancras station, London and got off at Baltika Station, St Petersburg. A trip that involved a not inconsiderable amount of planning, and the international Information section, suddenly, unexpectedly (it almost passed me by that it might be useful at all), came into its own. 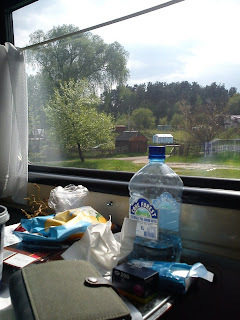 We knew our second day in Germany was going to be a public holiday, likewise for the day we were due to leave Russia. We knew the average temperature in Warsaw in May. We knew the currency of Lithuania was the Lita and in Latvia it was the Lat. No longer do I wonder who makes use of those pages. No longer shall I consider chucking them straight in the recycling when I buy my new diary infill, for now my travels have been opened up, thanks to those brief, concise pages, and I know, with absolute confidence that glove sizes are the same in all countries. Thank you Helen... Part 2 tomorrow. Anyone familiar with this seller? Reader Colie emailed me to ask if I am familiar with this Filofax seller on ebay, located in Austria. I am not but perhaps one of you are? Have you purchased from this seller before, and/ or do you know anything about how they acquired their collection? For me, this whole thing kicked off from Japan, ironically. Flashback: 1986, New York City, the height of the Filofax craze, working in Yuppie Central. 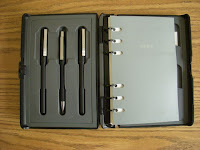 But my first Filofax-type planner, which was given to me by a friend, was a Japanese “Inning” made by Plus Corporation. Great name Inning, if you stop to think about the baseball/cricket metaphor and its implications, e.g. bad Inning(s) does not lose the game, you can win in the last Inning, etc. It took Personal size sheets (in Japan called Bible). As you can see, it was a pretty cool design then, and still looks good today. 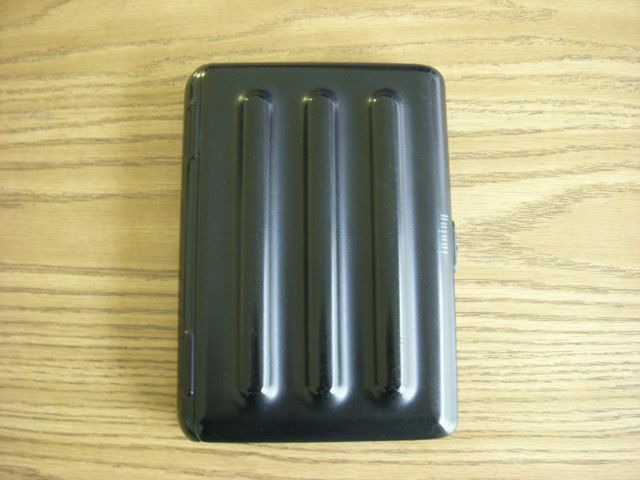 Looks like a proto-netbook, with clamshell-type construction. 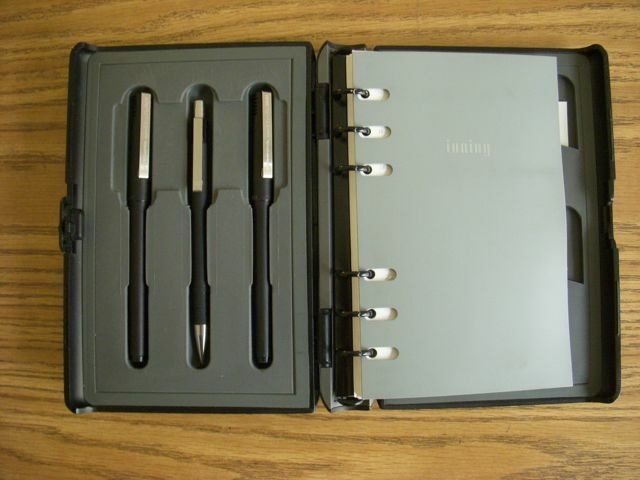 Pretty near indestructible ABS Plastic, with wells for THREE writing instruments, originally pen, pencil and highlighter. Now red and black Uniball Micros, with a Time/system pencil. They fit perfectly in the slots. On the inside back cover, two additional slots, the top I use for business cards, the bottom slot being perfect for a 3M Post-It pad. Produced only in 1986, it came in five colours: black, yellow, forest green, navy blue and white. It was the victim of bad timing, as the PDA was about to take Japan by storm, with North America and Europe to follow. Though some years I’ve used Filofax refills, for the most part I’ve kept this Japanese, using the Bible-sized Data Plan refills, by Maruman, available at Kinokuniya or Mai Do stores. Both are good places to get lined or grid paper for Pocket, Personal or A5 Filofax (Mini, Bible, A5 in Japan, respectively). For those into saving trees, some versions (month to view, week on a page) of the Data Plan diaries come sans date, so you just pencil it in, then erase to reuse the diary the next year. I just use five numbered tabs, pertaining to TASKS, PROJECTS, LISTS, FINANCIAL, REFERENCE. Bernhard sent me these fantastic photos of his Winchester Filofax and referred to a comment by gregorym who said his perfect Filofax would look like it had been run over by a stampede of horses. Here is another excellent guest post from Bernhard, about a brand similar to Filofax that I am not familiar with: Mulberry. On July 6, 21.47 CET ends an eBay auction for a vintage Mulberry organiser. This binder looks real classic with only slight traces of handling. In the 80-s, Filofax and Mulberry were equal competitors but Filofax managed to become better known. The Filofax Personal paper format was copied by many no-name manufacturers so one could buy it in almost any stationery. The Mulberry was the more exclusive brand with higher prices for the binders, only a few retailers and a different paper size than the Filofax Personal. 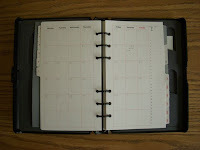 Today, Filofax offers a middle-priced range of organisers produced in unknown factories all over the world. Mulberry however developed to be an extreme luxury brand with various "Agendas" (14 x 17,5 cm) for 225 Pounds each and "Planners" (A5) for 325 Pounds. Although these prices are astronomically high for a binder, a look at the Mulberry.com website shows that these products are not stamped "Made in England" any more. They carry the Mulberry legend and logo, that's it. My advice for anybody who wants to buy this vintage binder: Go for it, but do not forget that Mulberry uses an other paper format than your Filofax. You can not fill the Mulberry with your Filofax papers. Good luck anyway! So you have an A5 Filofax Organiser (who doesn't!! ), but sometimes you find the A5 format a little restrictive. OK not everyone wants to have an A4 organiser (which by the way I don't believe are available in the US anyway?) But A4 is a fairly common size for a lot of maps and pictures and text. And then folded. First fold at 145 mm, then fold back again. Punch and insert. So if you think, ok but bigger still would be better... A3 is also possible in an A5 organiser! A3 is 420mm by 210mm. So the folding is a little more tricky, but not impossible. Again using the Transport for London (TfL) bus map. Fold up at 210 mm from the top along the whole length of the page. Then a diagonal fold in the bottom left hand corner so it doesn't fowl the rings. Then we Z fold it at 147 mm and back again like the A4 sheet. And here it is fully folded. The TfL site also has Tube and Rail maps, plenty of different formats to print out and use as you wish, very good if you are visiting the Filofax shop in London... For other countries do a Google image search and look for Hi-Res images of maps, you will be surprised what is out there. So you have no reason not to include those standard office documents, telephone lists etc in your organiser. Using similar folding techniques it's possible to use bigger pages in a personal size organiser as well, just look at the year planners from Filofax. It only dawned on me the other day that Laurie and I have now been official contributors to the blog for 12 months now. Both of us I know contributed in various ways previously. But I was thinking about how our 'community' has changed in the last year. For me I notice a lot more interaction with our readers than ever before, both on the blog and on Twitter. I know more of you have started your own blogs, but this isn't in competition, it's complementary to our own output. Lots of peoples own individual experiences and how they are using the Filofax system. I love reading all these different blog posts. Some do make me smile alot, because I can 'feel for the writer' and their angst or joy at finding that perfect solution to their Filofax problem. Free for All Fridays are the great way of sharing these problems or sharing ideas and successes, they sometimes produce some incredible information. So what of the next year... who knows, but if anything we will be sharing our thoughts and ideas with more people than ever before. I'm looking at a slightly different template for the blog to allow us to customise the layout a little better. Naturally we don't want to change it too much, think of the change as evolution rather than revolution. Most of all, thank you all for your continued support and readership and of course all your great comments, keep them coming. Another 'new' Vintage Filofax has appeared on EBay for sale. It's from the same seller as all the previous vintage items, so I would believe it to be genuine. There are also other 'vintage' paper inserts and accessories still available. I've no connection with the seller, just a satisfied customer. Welcome to July! I hope you are having a great summer. I know there are several of you out there who have made some changes with your Filofax systems. Tell us about it! And as always on Fridays, feel free to ask questions or have any other Filofax chat you wish.